Verizon’s new Wear24 Android Wear watch arrives tomorrow, May 11. To build some hype before you can officially buy the watch, Verizon posted up a first look video that shows the watch in action for the first time. We don’t necessarily learn anything new about the watch itself, but it does give us a good feel for the size. The watch is shown on both men’s and women’s wrists and never really looks completely ridiculous, like the LG Watch Sport. The band doesn’t look like it’s replaceable, though, likely because some of its tech is tucked in there, just like on the Watch Sport. That’s disappointing for those of us who don’t necessarily want to always rock a black rubber strap. I do have some disappointing news to update. 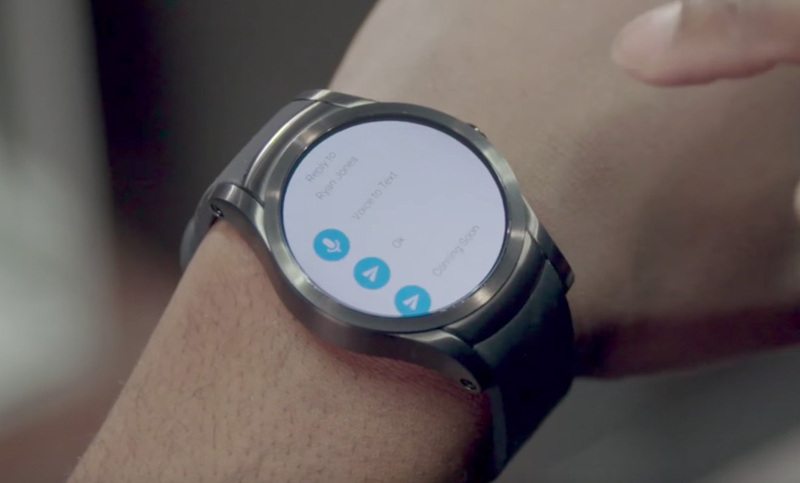 The Wear24 does not actually feature NFC for Android Pay as was originally told to us. (EDIT: See update below) We aren’t sure where the confusion started, but Verizon’s site (and their sales reps) has since clarified that the watch does not include mobile payment capabilities. UPDATE: A Verizon corporate rep has now clarified further to us that the Wear24 does indeed have NFC, but it’s not “compatible with Android Pay.” What does that mean? I have no idea. If you were planning to buy the Wear24, don’t go in hoping to make mobile payments any time soon. As I noted when it was first announced, I was fully on board with this being one of the first LTE-connected watches worth considering, thanks to its design, size, and set of features. Now that we know for sure it doesn’t have NFC for Android Pay, I’m not exactly as hyped on it. I know I’ll be passing. If interested, you’ll be able to buy the Wear24 at the link below within a few hours. The Wear24 costs $299 on 2-year contract or $349 without one.